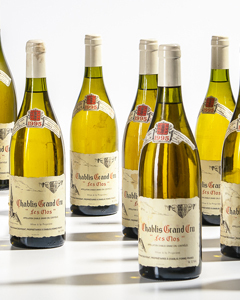 Pre-Auction Wine Tasting Events | Skinner Inc.
Join us to taste a selection of vintage white and red Burgundy including Dauvissat Les Clos 1995, First Growth and Premier Grand Cru Classe Bordeaux; Ch. Haut Brion 1967, a vertical of Ch. 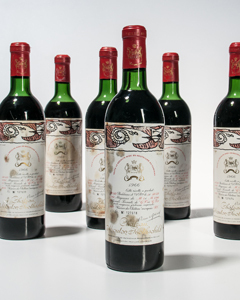 Mouton Rothschild (1960, 1970 & 1978), Ch. Leoville Las Cases 1970, Vieux Chateau Certan 1970, along with Smith Woodhouse 1947 and many others. We will be pouring a selection of vintage Burgundy including A.P. de Villaine Bourgogne Chante Flute 1979 along with a vertical of 1960s-1970s Premier Cru Classe Bordeaux; including Chateau Fombrauge 1961, Chateau Mouton Rothschild 1966, Chateau Haut Brion 1967, Chateau Calon Segur 1970 and Chateau Brane Cantenac 1979. This entry was posted in Event and tagged burgundy wine, fine wines, red burgundy, vintage wine, wine auction, wine auction events, wine event, wine tasting, wine tasting boston, wine tasting massachusetts by Skinner. Bookmark the permalink.